Home / Blog / Congratulations to our Onyx Vanity Top Winners! Congratulations to our Onyx Vanity Top Winners! Ryan and his family came by on Friday to claim their prize of a beautiful new Onyx Vanity Top! 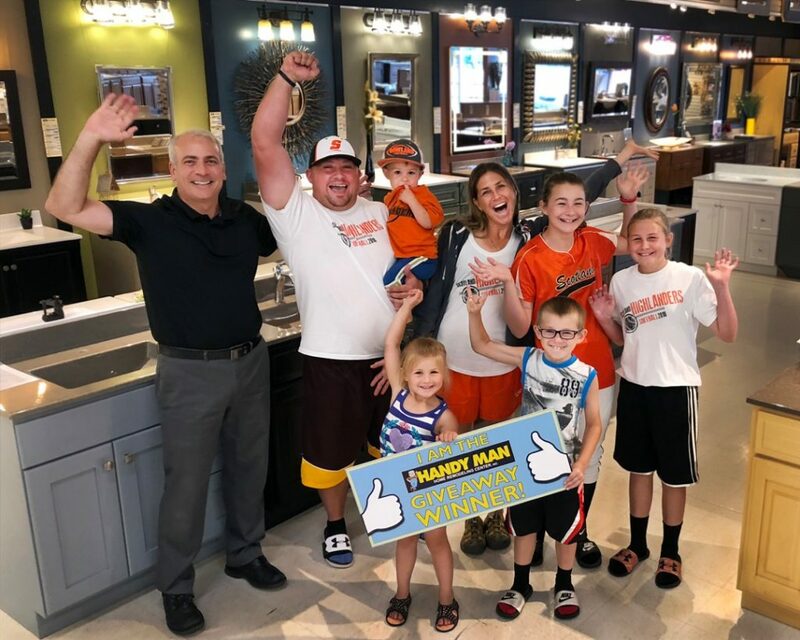 The whole family met with Handy Man President, Joe Swenson at our Sioux Falls location. Congratulations and thank you for participating in our giveaway event – we’re excited to help you with your bathroom remodel!